MM Gardening has established a reputation in the Berkshire area. We have both private and commercial contracts, and also take on large and small ad-hoc projects. Our work covers patios, water features, decking, landscaping, designing, fencing, garden clearance, hedge trimming, and laying new turf. 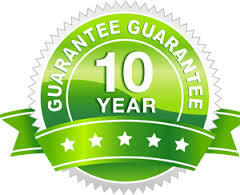 We are happy to take on regular contracts and to supply a quotation before any work is undertaken. We can supply computer or hand drawings to help visualise your garden transformation. Do you wish to build new decking, patio, or perhaps a pergola? If so, MM Gardening can provide you with a cutting-edge 3D virtual design. Full garden design can be provided with or without your input, including supply of plants and landscaping materials. normally associated with having a lovely lawn. Imagine a beautiful lawn that requires virtually no maintenance at all and stays green and lush as the day it was laid. Artificial grass is great for kids, pets, parties and it's very hard wearing, it can even handle the rough and tumble of sports and play areas. All you need to do is sit back and enjoy.